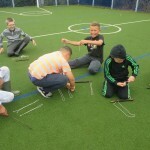 Today the children were learning and remembering their fire circle rules. 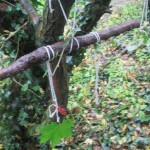 Well done to those of you who remembered how to keep safe. 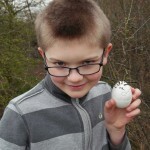 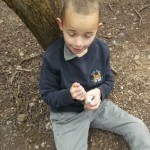 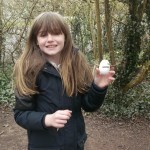 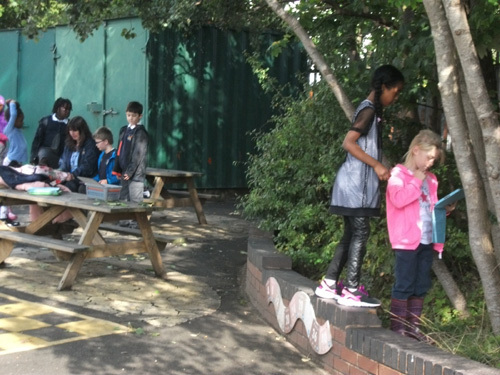 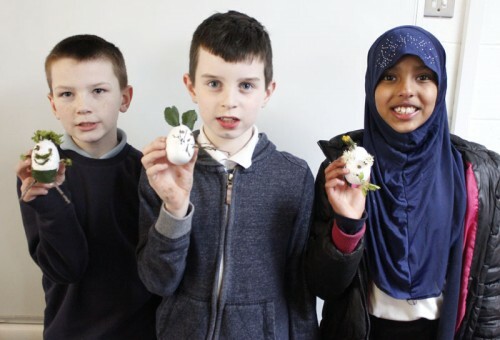 The children also had a challenge to decorate a polystyrene egg using forest materials only. 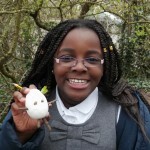 Some very interesting and imaginative designs. 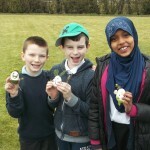 There were 3 winners from each group. 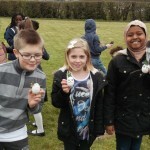 Congratulations to Harley, Josh B, Aisha, Harry, Chloe and Nimca. 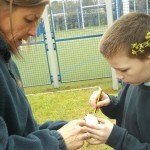 Great work by everyone and a big thank you to Mrs Sargant for helping out. 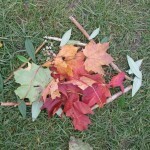 This week, in Forest School, the Year 4 children have been creating Andy Goldsworthy inspired art work. 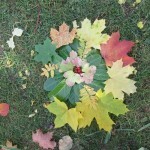 His work is made from nature and all of it beauty. 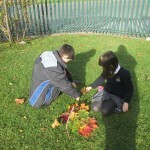 Here are some photos of their wonderful creations. 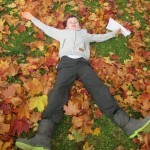 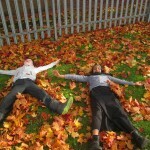 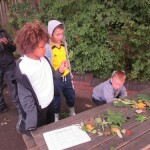 Oh and a few of the children being leaf monsters! 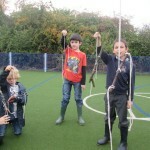 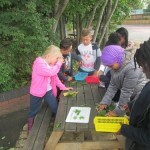 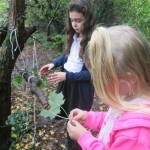 The children in Year 4 had a very wet and soggy Forest School session this week. 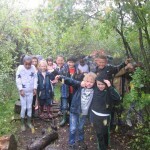 We were lucky enough to dodge the torrential rain but a bit of tree shaking did result in a very wet Mrs Johnson and Year 4 children. 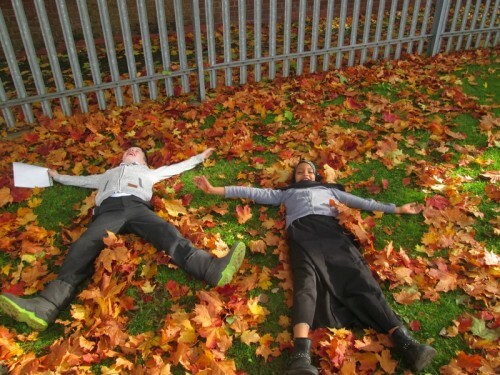 Thanks to Josh T and Omari for excellent tree shaking skills!!! 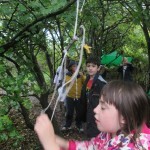 The children made some twig mobiles using string and knots to hang in the trees. 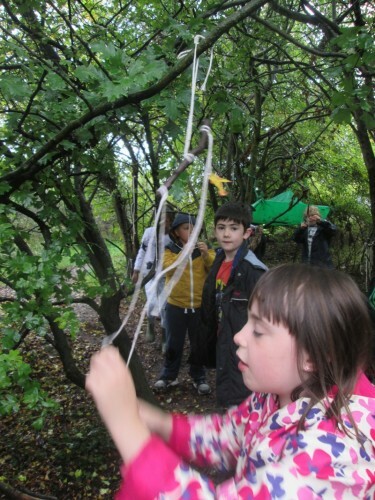 We talked about how to balance the mobiles out using words such as heavier, lighter and equal when knotting twigs and leaves on to them. 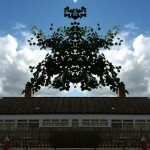 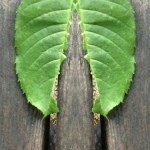 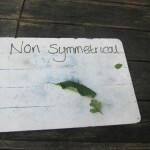 This week, in Forest Schools, Year 4 Robins have been learning about symmetry. 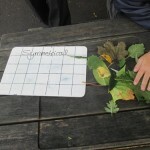 We talked about what makes an object symmetrical. 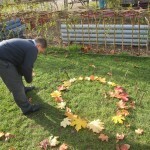 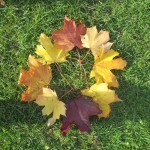 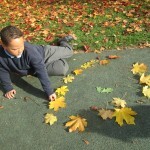 The children then collected leaves and sorted them out into symmetrical and non-symmetrical leaves. 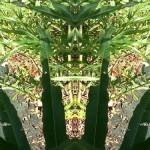 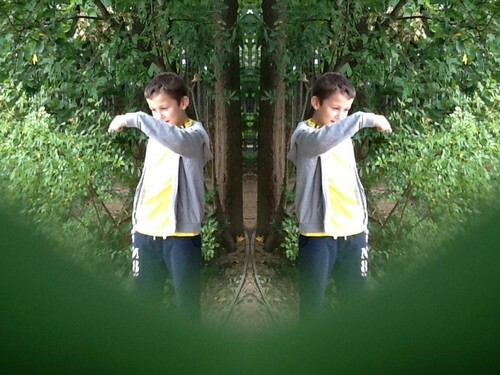 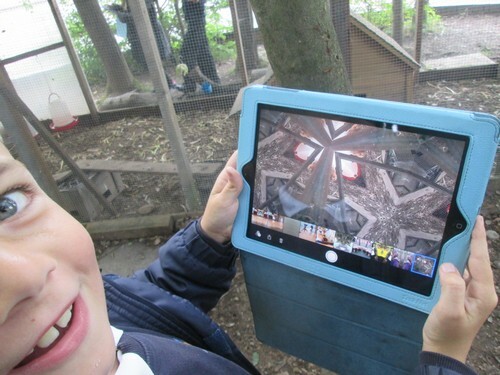 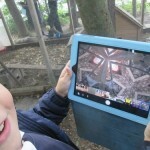 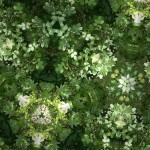 The children the used the Photo Booth iPad app to take funky photos of the woodland walk using the mirror and kaleidoscope lenses. 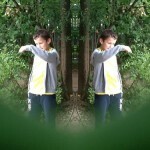 Some very effective pictures. 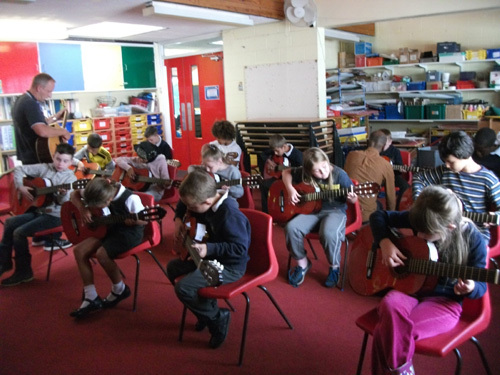 This afternoon Year 4 enjoyed Forest School with Mrs Johnson and Guitars with Mr Gill and Mr Koeri.